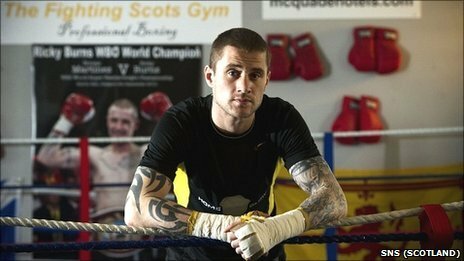 Ricky Burns is to give up his WBO super featherweight world title and move up to lightweight. The 28-year-old Scot made the decision because it was becoming difficult for him to make the 130lb mark. Burns' first fight at his new weight will be against interim WBO lightweight champion Michael Katsidis in Glasgow. The Kelvin Hall, where Burns won his 2010 title fight against Roman Martinez, has been provisionally booked for 12 November. However, a date has yet to be confirmed for the Coatbridge boxer's debut at his new weight. Burns' manager, Alex Morrison, told BBC Scotland: "Ricky has always wanted to move up to lightweight. "He has outgrown the super featherweight division."